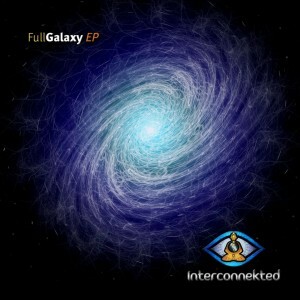 Full Galaxy is the debut release by Maltese psytrance producer Gilbert Cordina (of Soul Kontakt) under the name of Interconnekted, his new project, on BMSS Records. Charting a course through clean, melodic full-on psytrance, this release is full of smooth soundscapes, rolling bass lines, and crisp percussion. Aiming to induce a deep experience that will give you energy for the years to come, this release is meant to help heal the community from the forces of ego and to encourage the listener to let go of all attachments. All tracks written and produced by Gilbert Cordina at Interconnekted Studio, Malta. Mastering by Johannes Reigner AKA Silicon Sound (tracks 1-3) and Vincent Villuis AKA Aes Dana (track 4) with artwork by Gilbert Cordina, Alana Axisa, and Daniel Borg at Connekted Designs. MP3 Download | FLAC Download | WAV Download · Download count: 10,037. Cant wait to hear the new album! I wish you all the best of consciousness for 2012, let’s arise together and fight for mother earth! Great intentions, I’ll fight for that. Просто анреал!!! Очень красивая музыка! Спасибо музыкантам за это открытие!!! I was just wondering where you got the sound clip for the first song celestial. It’s a great opening and has me intrigued to listen to more of the speaker. Hi there the vocal of Celestia is actually Gregg Braden a person whom i admire for all the beautiful information he provides on pure consciousness, if you wanna listen to more there are loads of youtubes you can watch which i would definately recommend ;) Love and light, thanks for asking buddy! The album Musical Meditation is ready gonna work with my friend Daniel on the artwork ;) Boom! This is some great music. I took a long bike ride on a hot summer day with this playing in my ears approaching sunset. Very beautiful. Cool dass ihr auch hier released!